How far in the past did this tour have to be slotted into your schedule? A couple of years, I suppose. It didn’t take too much convincing, though. As soon as they told me about the show I jumped at the chance. I love Johnny Cash. When I was a kid my dad used to brainwash me with all of his old Johnny Cash records and I used to sit by the stereo and I’d strum along and learn all those songs, and that’s how I fell in love with country music. That’s the reason I’m doing what I do today. Well, that’s taken care of my second question, which was to be about your voice fitting Cash’s register – I wondered if you’d grown up singing along. Very much so. You know, the funny thing is that because there’s a genetic disorder in the Harvey family and we grow too tall – it’s this weird thing, I was supposed to be about seven foot three, so they give you the treatment up at the Royal Children’s Hospital, they pump you full of testosterone when you’re young and that speeds up your growth spurt and speeds up puberty, and as you know once you go through your growth spurt you stop growing. So they stopped me at six foot four and my son’s just had the same treatment. So they pump him full of testosterone. He’s fourteen years old now and he’s six foot six, and that will be as tall as he will grow. Otherwise if we had letting him growing and growing, and then – as often boys are late bloomers – have his growth spurt at fifteen, he was going to be over seven foot two as well. It’s funny because we’ve got a grown man with a fourteen-year-old’s head – it’s a bizarre thing. But at least we’ve stopped at that height. The beauty of it is the specialist said to me, ‘Are there any singers in your family?’ and I said, ‘No, I’ve often wondered about that.’ The specialist said, ‘It was all that testosterone they gave you as a kid, that’s what gave you that deep voice and that’s the reason you can sing today.’ And I thought it was really odd because even as a young kid – my voice broke when I was about eleven years old because I was having this treatment, and I could sit and strum along to those Johnny Cash records and I could sing them all in the same key as Johnny Cash. It was pretty weird but in a way it was really handy, because it made it really easy to learn those songs off Dad’s records because I could play them in the same key. So he’s played a huge influence on my life, Johnny Cash. The amazing thing about him – my son hates country music. [Laughs] I know. He’s found this amazing new band called Guns ’n’ Roses. But he loves Johnny Cash. Johnny Cash crossed over all sorts of boundaries and people who don’t necessarily listen to country music, they all know Johnny Cash, they all like his stuff. The song structures are fairly straightforward but the lyrics are not. I wonder if having a simple song structure makes it easier for people to approach country music. But when they hear the lyrics – well, ‘Folsom Prison Blues’ is a song with a lot of layers. Very true. And maybe you’re right – maybe there is something in that, that’s why people are attracted to those songs and the stories. Let’s face it: he was very genuine. He lived what he sang about. He had that hard life and all sorts of substance abuse and in trouble with the law and all of that stuff. So when he sings it, it comes across as very real, I guess, and I think that’s what made it even better. Just back to your voice: it’s one thing to have the register and be able to sing along to the songs, but it’s another to learn to control your voice so you can have a career as a singer. So at what stage did you learn to make it an instrument? Ah … I haven’t yet [laughs]. I’m still learning. I guess as I got a bit older and started to go through high school and form bands, and then as I practised more and more, it’s like anything: you’re practising guitar or practising skateboarding, and it doesn’t matter what you do, the more you do it the better you get at it. I guess over time when I learnt to use it more and hold my notes longer and get a bigger vocal range. I’ve never been one who’s gone and learnt scales and done any of that, I think it was just a matter of being out and singing all the time that forced me into that. It’s a funny thing: I can’t imagine ever doing anything else. It’s all I’ve ever wanted to do. For years I had other jobs and did different things but I always had music. I was always in a band or always singing or learning songs. And in the end my old boss said, ‘Listen, you’re going away all the time to festivals and travelling around doing support acts, but you’ve got to get serious either about your career here at work or this music caper, but you can’t keep doing both half arsed.’ So he said, ‘I hate to say it but I’m going to make you choose.’ It was probably one of the best things ever. It forced me to take a chance and follow the music. making a go of the music. [Laughs] I’m just lucky, that’s all. One of the great things about the country music audience is that they’re very, very loyal. If they like what you do they tend to stick with you throughout your whole career. Whereas when I look at my kids, they sort of follow something for about a week – it’s like trends –and then they’ve all moved on to something totally different. But we’re very lucky, the country music singers. The country music audience is always open to new artists. You mentioned luck – there’s the element of making your own luck because you’re professional. You turn up and give them a great show, you give them great albums, and they know they can rely on you to do that over and over again, and that earns their loyalty. You’ve still got to get lucky and be in the right place at the right time. I see a lot of people out there who are really talented and they just haven’t got the lucky break. Okay, we’ll give you a bit of luck but I still think there’s a lot of professionalism in it. [Laughs] And bloody hard work. Plenty of that. Exactly! But back to Johnny Cash. The songs had already been determined, because the show had been on the road before, but are there any not in there that you really wish you were singing? To be honest, we get to cover so many. And the beauty of it was when I saw the song list I was saying, ‘Yep, I know that. Yep, I know that. I know that. I know that …’ The only tricky part – it was a bit daunting at first and it’s okay now that I know it, but learning the script was really hard. There were about forty pages of bloody script and there’s no autocues or anything on the ground so you just have to learn it all and know it off by heart. It’s only recently that I’ve started to feel comfortable enough that I know it that well now that I can sort of make it my own and have a joke or change it around slightly. With Catherine [Britt], we can sort of bounce off each other a bit but we’ve always got the script locked into the old memory banks. But it was pretty bloody scary at first and obviously because we tell the story of Johnny Cash’s life from when he first started out dirt poor on the cotton farm and we go through and tell all these different stories from each chapter of this life – the good, the bad, the funny and the ugly – then we match in the songs that suit that particular period in his life. So it’s important that you get the story right. Now, you mentioned Catherine, and you’re a known collaborator – with Beccy Cole and Troy Cassar-Daley, amongst others. What do you like about collaboration and is there anything you don’t like? I love to work with other people. I love to work with talented people, and I think music is such an amazing thing and to be able to share that amazing feeling with someone else, whether it’s on stage or recording a song in the studio. You know what they say about how laughter is multiplied when you get more and more people together. I really, really enjoy it, and I also think you can learn a hell of a lot when you’re working with other people. And that’s one of the things that I’ve loved about the country music industry – we’re all pretty good mates and everyone’s happy to record a duet or get up and sing together. I guess the only downside is that a couple of times I’ve had people ask if they could come and write songs with me – when it works it’s great, but sometimes it can just be a pain in the arse [laughs]. You just want to pull your hair out, you know? And I suppose you can’t really say ‘Get lost’ to that person. It’s tough. I did say at one stage, ‘Look, this is not working. Obviously you need to write with someone else.’ Because sometimes you get these people who just show up here and they haven’t got any ideas for songs so basically they want you to come up with the idea, and they’re not sure what direction they want to go in and they’re not sure what they want to sing about and it’s like, ‘You’ve got to give me something here.’ [Laughs] That can be quite frustrating. I think a lot of those young people who are out there are not exactly sure of what they’re all about and what they want to sing about, and until they know, you can’t expect anyone in the country music listening audience to understand you if you don’t understand yourself. It is a sophisticated audience – they like a story and, therefore, they like storytellers. And if you don’t know what story you’re telling, they will not respond. That’s right, they won’t get it. I see that a lot and I think, Can’t you see it? But I suppose as you get a bit older you get a bit more comfortable and you know what you’re all about, what you want to sing about and what stories you want to tell. I saw you and Troy on the very first tour for the Songbook, and you were talking about how it all came about – you were sitting around writing the songs on a serviette. And I remember looking at the two of you, thinking, These guys are having an absolute ball. Very true. And I love that stuff so much – I really love that classic country music and the history of our music. That’s one of the great things about Catherine, she really loves that stuff as much as I do. She knows the artists, she knows the songs and the history, and that’s really nice to be able to sing these classic songs with someone who actually loves them too. In her book Beccy mentions that you’re fond of playing jokes on people and I was wondering if you have any plans for Catherine? [Laughs] She gave me a good old workout in that book. As I said to her. ‘Touché, my friend, you did that very well, thank you’, and she said, ‘I went easy on you’, and I said, ‘I know you did and for that I’m grateful, otherwise I could have ended up in all sorts of trouble: divorced or dead or buried in the back yard somewhere. But I love playing jokes, but you’ve got to be able to take it as well as give it, it’s part of the rules. So I’ve got to go easy on Catherine but she’s great, she’s got a great sense of humour and I’m just so happy for her now. I’ve watched her when we first started doing these Johnny Cash shows and she was so sick, having the chemo. I really admired her strength and the way she just wouldn’t quit. I’d say, ‘Mate, if you’re not feeling up to it’, and she’d say, ‘No, damn it, I’m going to do it, I’m going to get this right’. And all through the rehearsals, and when we started doing the shows, and I know how sick she was but she just wouldn’t let it get the better of her. And now she’s fighting fit again and she’s got this real zest for life – she’s got a real sparkle now and she’s just loving being on stage performing, and that makes it even nicer, to get out there and sing those great old duets with her. And I think her voice is better than it’s ever been. I agree, and there’s a real fire in her eyes, it’s great. We sing ‘If I Were a Carpenter’ and ‘Jackson’, some great songs that Johnny and June made famous – the hard part is that we’ve got to do them justice. After this is over, and given how far ahead your life is scheduled, what’s next? 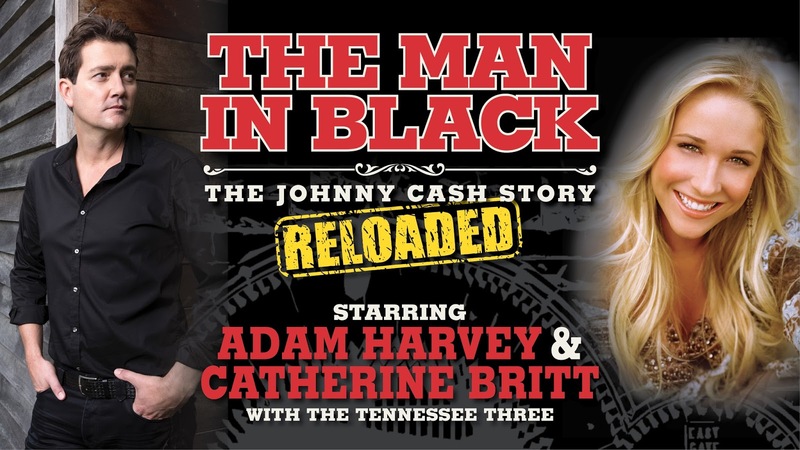 I know Simon, the promoter, is keen to take this show to New Zealand next and he’s even talking about taking it to Asia – apparently there’s a huge country music/Johnny Cash following over there. But in the meantime I’ve got plenty of touring with this Harvey’s Bar album – we’ve built a replica bar and had a big backdrop made up and it’s an exact replica of my bar at home. We set all that up on stage every night. That’s a lot of fun. It’ll go through to about the end of September and then I’ll start recording this Great Country Songbook Volume Two. I didn’t realise that was coming. That’s the plan. So we’ll record that towards the end of the year and release that next year. Will you release it before Tamworth or after? I don’t know. I’d like to try to get it out for Tamworth, in a perfect world. But you know what they say: if you want to make God laugh, tell Him your plans [laughs]. One of the best shows I have ever been to – and I’ve been to many – was part of the very first tour undertaken by Adam Harvey and Troy Cassar-Daley, performing a whole bunch of songs they loved written by a whole bunch of people who weren’t them. It was an opportunity for them as friends and colleagues to have a ball, and they really did – consequently the audience did too. The breadth of their musical knowledge was impressive, as was the fact that, stepping away from their own material, it became clear that they were very accomplished performers and interpreters of other people’s work. We put a lot of store on singers who are also songwriters but it’s also quite a trick to be a great interpreter of someone else’s songs. To be able to do both – as Adam and Troy showed they could – is the measure of a truly great artist (at least, in my opinion). Troy and Adam are bringing what is now The Great Country Song Book to the Sydney Opera House on 28 March 2014. I don’t ordinarily plug single gigs but, seriously, these two are amongst the finest performers in the land, and this gig is as close to a guaranteed good time as you’re going to get – apart from going to a McClymonts gig. But I’ll save that for another post. You can read my review of the Great Country Song Book album here. Book tickets for the show at http://www.sydneyoperahouse.com/whatson/the_great_country_song_book.aspx. 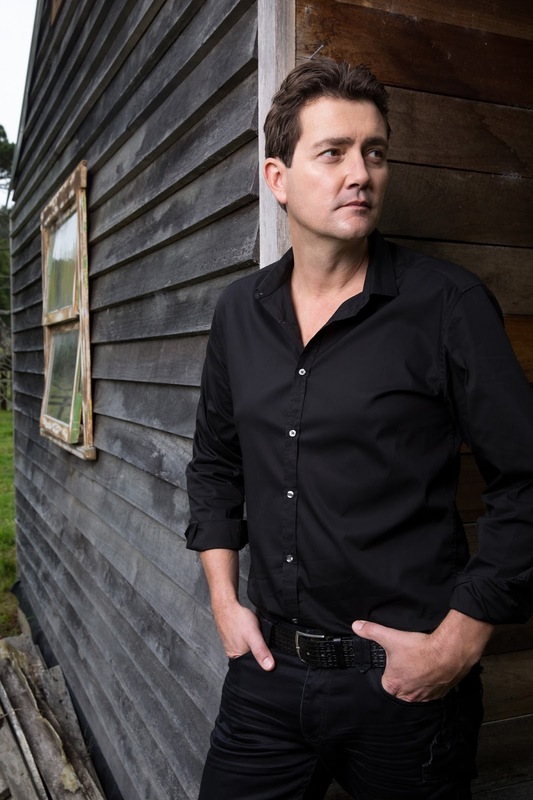 This album had its genesis in a tour undertaken by Troy Cassar-Daley and Adam Harvey about two or three years ago. I saw one of the shows on that tour and it was one of the best gigs I’d ever seen. Troy and Adam were having so much fun – it seemed as though, in covering other people’s songs instead of playing their own, the pressure was off and they could be two musicians – and friends – together. The idea for the tour was genius: two of Australian country music’s biggest names playing the mainly American country music songs they loved. Some of the songs were obscure – in fact, many of them would only have been known to people who had the same extensive knowledge of the genre as Troy and Adam. But that didn’t matter, because the two men revealed themselves to be great performers no matter whose songs they were singing and the music flowed easily all night. That same spirit of collaboration and pure joy in music is evident on The Great Country Song Book, which now stands as a record of that genius tour idea. There is a great range of songs to satisfy anyone who loves any kind of country music – there is Slim Dusty’s ‘Lights on the Hill’, Johnny Cash’s ‘I Walk the Line’ and Glen Campbell’s ‘Rhinestone Cowboy’ mixed in with some Lefty Frizell, Merle Haggard and Hank Williams songs, amongst others. The Great Country Song Book is out now through Liberation/Sony Music.